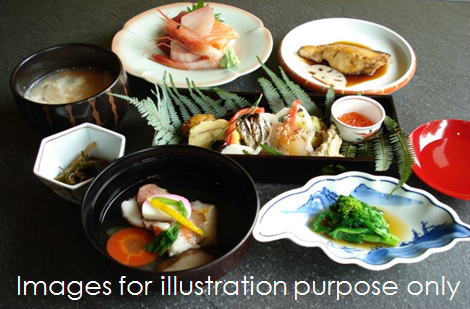 Our Yearly most overwhelming New Year`s special course menu ~ "OSECHI RYORI"
ONLY available on 1st & 2nd January. Reservation are open from December '18, Book your table early to avoid disappointment. Tidbit. Sashimi, Clear Rice Cake Soup & Traditional Appetizers box.